Rudy Futer entrusted the CFMC with his charitable vision, creating through his estate the Rudy E. Futer Fund for Human and Humane Needs. He directed that the fund be used to make grants for direct human services that support at-risk and underserved populations. The CFMC fulfilled his wishes by investing in organizations through its Community Impact grants program, then took it a step further. In 2012, the Futer Fund committed $1.5 million in grants and training to ten anchor social service organizations over three years. These resources strengthened the continuum of safety net and basic human services in Monterey County. Each agency received $50,000 annually to support specific organizational goals. Futer Essential Human Services Grants program participants were: Coastal Kids Home Care, Community Human Services, Food Bank for Monterey County, Franciscan Workers of Junipero Serra, Housing Resource Center, Legal Services for Seniors, Community Homeless Solutions (formerly Shelter Outreach Plus), Sun Street Centers, United Farm Workers Foundation, and YWCA Monterey County. The grantees also received wrap-around support from the CFMC’s Center for Nonprofit Excellence. Along with training and individualized organizational development plans, the agencies gathered regularly to learn from one another. They developed innovative fund development strategies, new program approaches, stronger boards of directors and improved procedures. Several organizations cross-trained staff, resulting in greater outreach and better client services. Some restructured for greater efficiency. All took steps towards greater financial sustainability. The Food Bank for Monterey County credited the program with aiding their response to the fire at their facility in March 2015. “Our greatly enhanced capacity helped staff resume food distribution. Quite simply, we are a much more resilient and flexible organization,” noted Melissa Kendrick, Executive Director, Food Bank for Monterey County. Thanks to Mr. Futer’s gift, the CFMC crafted a program to help build stronger, more sustainable nonprofits. Participants reported that the three-year support was critical to developing new, more efficient approaches and a culture of continuous improvement. Training and peer learning activities for this program were made possible in part with support from the David and Lucile Packard Foundation. The Futer Essential Human Service program illustrates the power of philanthropy to make a lasting difference. 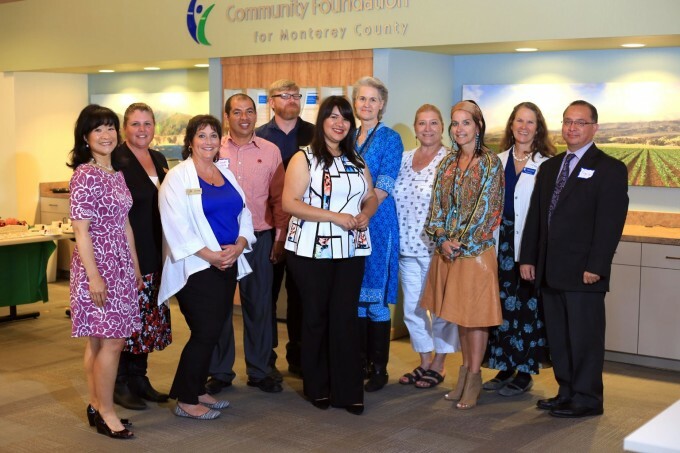 “One man’s generosity through his estate is making a difference for people in need in Monterey County,” said Dan Baldwin, CFMC President/CEO. “We congratulate these grantees on their hard work and accomplishments,” added Kaki Rusmore, Director of the Center for Nonprofit Excellence.